From the shores of the Charles River to the wide open green spaces of Cambridge Common, this sister city of Boston is one of Massachusetts’ best weekend getaways. Whether it’s touring some of the top college campuses in the country, digging deep into American history or visiting one of the popular museums that line city streets, Cambridge offers travelers the best of big city and small town all in one place. Thanks to the Massachusetts Institute of Technology, Cambridge is home to some of the best science and industry in America. Spend the day touring the college campus before wandering historic Kendall Square. Plenty of the nation’s biggest tech companies have made their home here because of its close proximity to MIT. After grabbing lunch, head to the MIT Museum, where epic displays of current academic research, as well as galleries that highlight the merger of art, design and technology provide hours of indoor entertainment. History buffs will love exploring Cambridge’s deep-rooted past. Start the day at the Longfellow House. This historic home is the former residence of one of America’s greatest poets and served as the one-time headquarters for General George Washington. Tour the grounds and learn about Henry Longfellow, an iconic literary figure, as well as the role his historic home played in America’s past. Afterward, head to the Harvard Museum of Natural History and the popular Peabody Museum for a peek into the past on a more global scale. Life-size dioramas, massive dinosaur fossils and hands-on exhibits prove learning can still be fun. Cambridge is filled with lively squares that perfectly capture the vibe of this picturesque New England town. Spend a day wandering through the shops, taking in the sites, sampling local fare and participating in some serious people watching. Kick off the day with a picnic breakfast in the sun or shade of Cambridge Common, where pickup games of softball and soccer are easy to find. Then head to Harvard Square where young academics gather to unwind and street performers turn the busy intersection into their stage. Spend a couple of hours at one of the quaint cafes or relax on one of the dozens of benches that prove the perfect perch for people-watching. Take a break from the Big Apple to explore famous universities and colonial history with this full-day tour to Boston. Drive through Connecticut’s capital and countryside, and stop in Cambridge for a stroll through Harvard Yard. Visit major Boston landmarks and follow the historic Freedom Trail for a tour through revolutionary sites including the site of the Boston Tea Party. Enjoy free time for lunch at Quincy Market, where you can sample local favorites like clam chowder. For anyone thinking of attending Harvard, or for those who simply want a glimpse of life at the famous university, this 1-hour guided tour is a must. Get an exclusive account from Harvard students, who provide key insight into the times at Cambridge. Check out the old buildings at Harvard Yard and Harvard Square and learn about the school’s storied past. After the walking tour, explore the Harvard Museum of Natural History. Easily experience the breadth of Boston by hopping on the Beantown Trolley. This 3 hour narrated sightseeing tour offers 3 photo stops plus more than 125 points of interest along the way. See top Boston attractions like the Boston Common, Freedom Trail, Copley Square, and Fenway Park on this trolley tour through historic Boston. 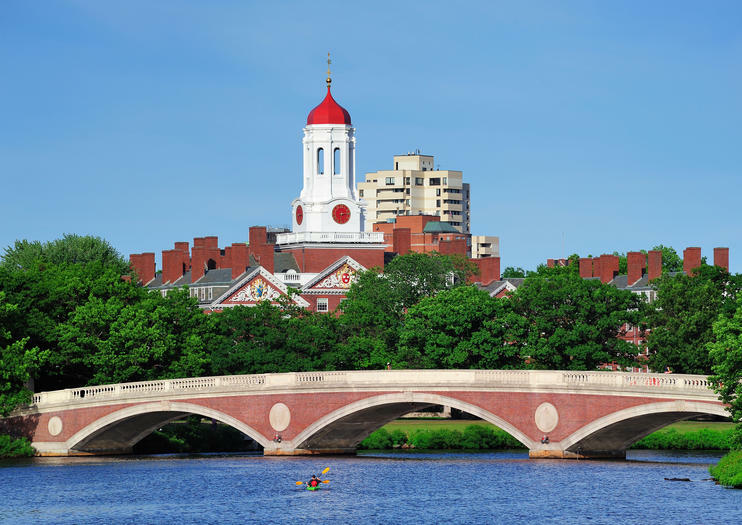 For anyone thinking of attending Harvard, or for those who simply want a glimpse of college life at the famous university, this 70-minute, guided tour is a must. Get an exclusive account from current Harvard students, who provide key insights into the life and times at Cambridge with a theatrical, humorous flair. Check out the old buildings at Harvard Yard and Harvard Square and learn about the school’s storied past. Choose from several departure times throughout the day. Discover the innovators and history makers of Cambridge on this guided, 70-minute ‘Innovations’ walking tour. Learn about the bridge builders that shaped East Cambridge and walk in the shadows of the world’s most productive innovators. Visit Technology Square in the Kendall Square neighborhood and see where history is being made every day on both the MIT and Google campuses.